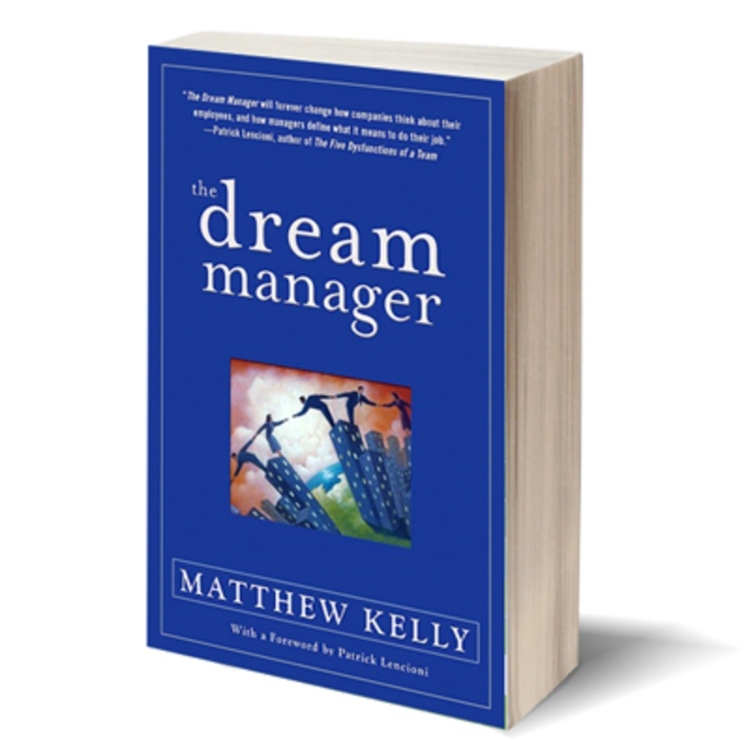 I wish I could remember how I came across the wonderful book, The Dream Manager, by Matthew Kelly. Since the forward is written by Patrick Lencioni, that may be my first clue. Like Patrick’s books, The Dream Manager is a book written in fable style. But this is one fable you may want to take closer to truth. The Dream Manager tells a fascinating story of employee engagement and how one company succeeded in an industry where one would least expect: janitorial services. If engagement can be increased in this industry, you know it can happen for your team. Ping pong tables, unlimited vacations, free lattes – none of these are the secret to successful employee engagement. You can check out Gallup’s State of the Global Workplace report for all the research details. But if you want to really see how employee engagement gets done, you’ll want to read The Dream Manager. We hear this phrase bandied about “a company’s greatest asset are its people.” It makes sense that you would make the greatest investment in your greatest asset, right? Or, the “investment” in people is seen as just another thing to do on the employees’ already long to-do list. Employee engagement is a two-way street – so how do you get there? You start by providing an avenue, a way forward, for your people to build on their greatest asset – their ability to earn an income. Many of us view our bank and savings accounts or our home as our greatest asset. For most, the greatest asset is the ability to earn an income. The amount of income one can earn is determined in large part by the development of talents to strengths, adding skill and experience as one continues to perform and grow in increasing roles and responsibilities. People are growth-seeking creatures. Ignite that growth in employees, give it a productive avenue and you have will achieve a win-win situation. Employees grow and develop and add to their greatest asset -as they help your organization do the same. How will you help your people become the best and greatest version of themselves? Get started on this process with a Talent at the Table workshop for your team. The workshop unlocks and identifies the talent already present in your team and delivers real world application so the team works better together. Productivity, profitability, collaboration and communication will be your net result. Call today to schedule at 713-705-3815.